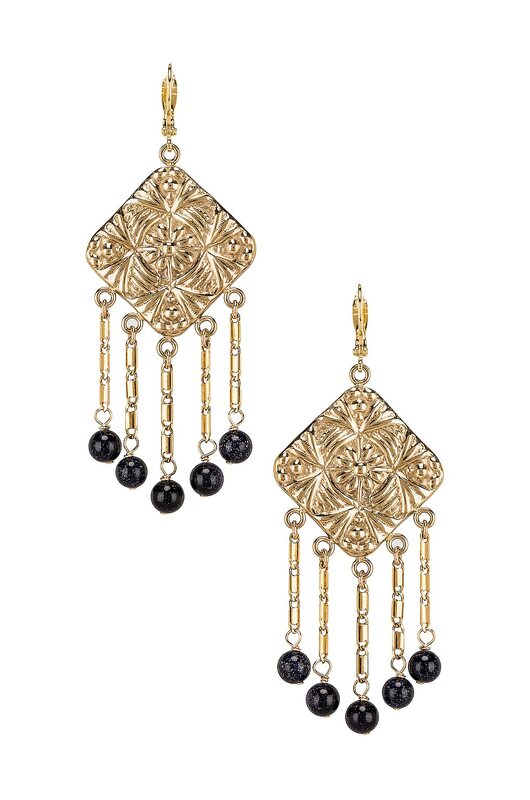 Gold plated earrings. Etched detail. Sandstone bead accent. Measures approx 3" dangling. PADI-WL74. BAROQUE.